Look again at the cloud below the picture! 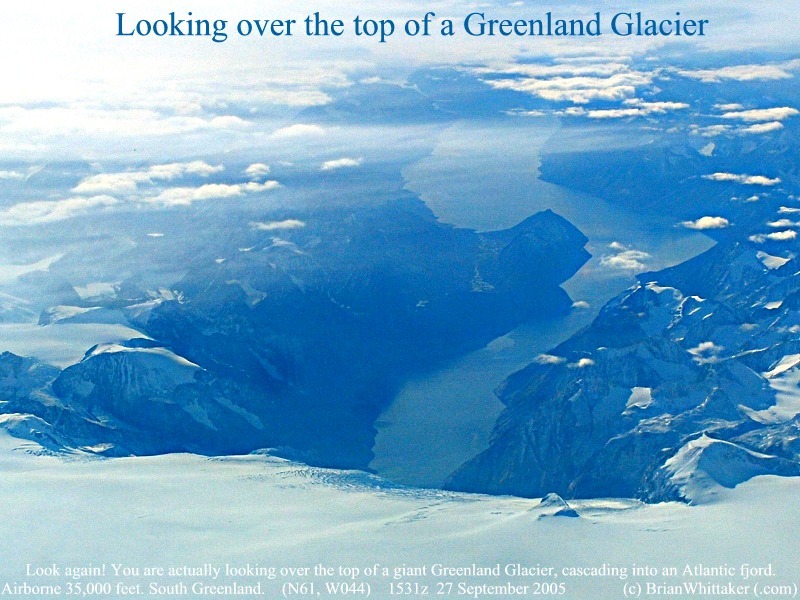 Its not cloud at all, but rather it is the top of a giant Glacier. You can just see the crevasses as it commences its steep cascading drop towards the bottom of the Atlantic fjord below. This southerly view is taken from 35,000 feet at 1531z on 27 September 2005. 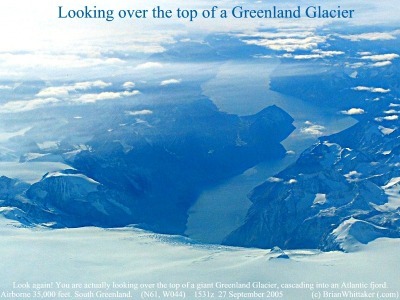 Have a look at this interactive map [Map] that shows you the same area on Greenland. [Image 800x600].